Ask the Super Smash Bros. for Wii U community which character rules the roost, and most everyone will tell you Bayonetta is the character to beat. Her huge attacks and high damage have made the Umbra Witch a perennial contender ever since she joined the game in February 2016. Early on, she got banned at a handful of regional tournaments and soon ascended to the top of a widely-accepted tier list. The community’s animosity for the character and those who use her has even led to ugly displays like crowds booing competitors and walking out during the Evo 2018 finals when two Bayonetta players faced off in the championship match. It wasn’t much of a surprise when Saleem “Salem” Young qualified for the Super Smash Bros. for Wii U finals at The Big House 8, both because of his pedigree and the character he uses. As the Evo 2017 champion, Salem has the distinction of being one of the best Smash players of all time, and it certainly doesn’t hurt that he has mastered such a strong character. When it came time for him to fight Yatiyaña “Yeti” Schaper, victory seemed certain on paper. Yeti has found little success outside of his home state of Minnesota and plays a pair of characters, Mega Man and Toon Link, that sit far below Bayonetta in the current power rankings. Although Bayonetta has an incredible ability to recover once knocked off the stage, her movement options are generally lacking for a character of her strength. This means Toon Link, with his fantastic array of ranged attacks, is smart to play the keepaway game with Bayonetta as much as possible. Yeti, as one of the best Toon Link players in the world, appeared to understand this going into his losers bracket match against Salem. He quickly established control of the match with smart usage of his character’s bombs and boomerangs. Yeti also had the backing of the crowd, who cheered whenever he gained the advantage. Meanwhile, Salem failed to find much ground. Bayonetta’s damage helped to keep him in the game longer, but Yeti’s ability to land risky grabs on the former Evo champion showed that he could get in Salem’s head. After winning two straight games, the young challenger entered the third with a ton of confidence, and then seemed to make the simple act of landing on the stage a risky proposition for his opponent. By the time he won the last game, Yeti had proven he was the better player that day, and his friends stormed the stage chanting his name in celebration. Although tier lists can provide a great foundation on top of which to discuss game theory, they have become inherently flawed and incomplete as the fighting game community has continued to expand. It’s impossible for even the most educated group of Smash players to nail down a decisive and final character ranking, given the diversity of play styles and tactics emerging all over the world, making any tier list an amorphous project that must be willing to shift and change as more information is gathered. Is Bayonetta the best character in Super Smash Bros. for Wii U? Sure, that seems clear based on years of major tournament results. One match, even at a high-profile Smash event, doesn’t necessarily prove that Toon Link deserves a higher ranking on all Smash tier lists. But Yeti’s victory over Salem does indicate that competitors can do incredible things when they invest time in any character, even middling cast members like The Wind Waker’s protagonist. Yeti caught Salem slipping last weekend and perhaps gave some hope to aspiring Toon Link players in the community to keep on grinding. 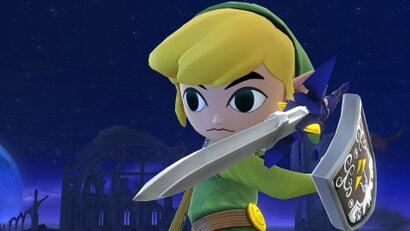 I think its more apt that Toon Link is a counter for Bayonetta, rather than being a specifically powerful character. Not that it matters with Smash Switch in like two weeks though. Tier lists are a reflection of the current meta. Nothing more than that. Bayo is still very comfortably number 1 in the game despite this loss, and Toon Link is still an upper mid tier despite this win. @camm it's not so much that Tink is a "counter" to Bayo - he really isn't. It's more that Salem (and many other players) are unfamiliar with the matchup, because Tink is not a common character, especially not at the level Yeti plays him at. In these kinds of situations the lower tier actually has the advantage - everyone needs to practice against a character like Bayo because she's a top tier and is a very common pick, so Yeti knows how to play against Bayo. It's not necessarily the same the other way around...a Bayo needs to practice against other Bayos and other top tiers, but not really against a lower tier. It means the main of the higher tier character is less familiar with the matchup than the main of the lower tier. This is a big reason why upsets like this can and still do happen even this late into the game's lifespan - it's not because the lower tier character is some kind of counter to the higher tier, it's because of matchup unfamiliarity and also simply being outplayed on the day. Whilst you are correct about the lack of practice in the match up, Area denial against a character with limited mobility is a counter WP. Despite what the article says Bayo doesn't really have limited mobility. She has tools to get around Tink's zoning, Salem just wasn't good at dealing with it. He was also just outplayed by someone who on the day was just a step ahead of him. Bayo doesn't have any "counters". She doesn't have any losing matchups, that's why she's considered the best in the game. A few characters are considered to go even at best with her (Cloud, Diddy, Rosalina, possibly Marth), although Tink isn't one of them.